Put the oranges in a flat dish, cut side up and sprinkle over the sugar. Drizzle over the rum, cover and chill for 1 – 2 hours, if you have the extra time. 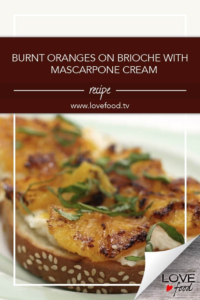 While the oranges are chilling prepare the mascarpone cream. Combine all the ingredients in a bowl, mix until well combined, and set aside until ready to serve, at least 1 hour. Heat a grill pan or BBQ to medium-high and cook the brioche for about 30 seconds to 1 minute each side or until just golden and transfer to serving plates. Then, in a fry pan, cook the oranges cut side down for about 4 – 5 minutes, pouring over the extra juices after 2 – 3 minutes. Move the oranges around in the syrup until dark brown, sticky and caramelized. 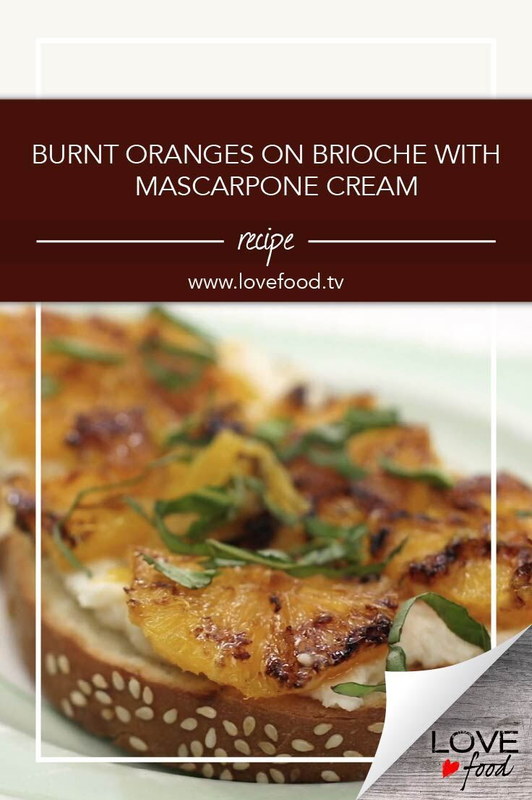 Spread the mascarpone cream over the brioche and top with the oranges and any juices. Serve warm and garnish with mint or basil leaves.